Åke Parmerud (1953) has been professionally active as a composer since 1978. He studied at the Gothenburg Music Conservatory, after having worked as a professional photographer between 1972-74. His list of works includes instrumental music as well as electro-acoustic compositions, multimedia, video and music for theater and film. It is however his electro-acoustic music in particular that has gained international interest, most noticably through a great number of festival prizes. (Bourges festival 1978, 1980, 1984, 1988, 1991, 1992 Prix Ars Electronica 1990, 1994, Prix Noroit 1991 and Stockholm Electronic Arts Award 1993) His CD "Invisible music" was awarded a Grammy as the best classical CD in Sweden 1995, and in 1997 his work "Grains of Voices" was performed in the New York headquarters during the United Nations day. Åke Parmerud has composed a number of works comissioned by international institutions in Holland, France, Germany, Norway and Denmark. His music is played worldwide. 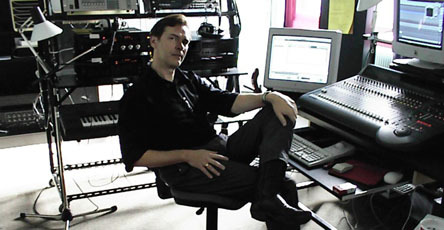 Åke Parmerud also teaches computermusic and composition at the Lindbladstudio, Gothenburg University.